An awful start to 2011. 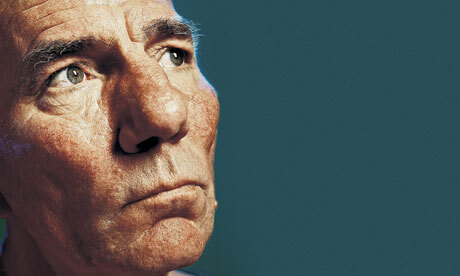 Pete Postlethwaite, born in Warrington, has died of cancer aged 64. The obituary in the Times was shockingly poor. They enlarged the photograph to fill out the page. Basically a list of his work. Nothing about the man. Obituaries are in theory written well in advance and updated to reflect events (which is why so many of the Guardian obituaries of opera singers are by Alan Blyth, years after his own death). So it may be more to do with the fact that Pete Postlethwaite was not the sort of actor who appealed to the Rupert Murdoch world-view. Anyway, Postlethwaite was one of our finest actors, I loved him with Sean Bean in When Saturday Comes. I was only talking about him the other day and I am very saddened to hear of his passing. The great thing about this man’s acting is when watching him you never felt he was acting; everything was very real and natural to me which is what made him a cut above the rest. I look at Ben Kingsley or Ian McKellen and I find it all so much ham and am personally unable to enjoy all their work but with Pete Postlethwaite I’m engrossed from the moment he is on the screen. In my twenties I went to the the Royal Court to meet a girlfriend. I was always about an hour late for anything in the hazy days of my youth, so I didn’t see the play. I finally found her and she invited me to a party which was around the corner from the theatre. I got there and felt awkward, lots of older people and actors, one of whom was a very kind, down-to-earth Pete Postlethwaite. He saw that I wanted to be anywhere but with those people, and invited me to the pub round the corner. So we left the party. I had no idea who he was, in those days. I have never forgotten that gesture, although it was many years before I realized it was Pete Postlethwaite. He’ll be sadly missed by all people who enjoy great acting. This entry was posted on January 5, 2011 at 6:54 pm and is filed under Obituaries with tags actors, alan blyth, ben kingsley, brown bread, cancer, everyman, films, guardian, ian mckellen, liverpool, pete postlethwaite, royal court, rupert murdoch, sean bean, theatre, times, tv, uk, when saturday comes. You can follow any responses to this entry through the RSS 2.0 feed. You can leave a response, or trackback from your own site.